Are you up on this? 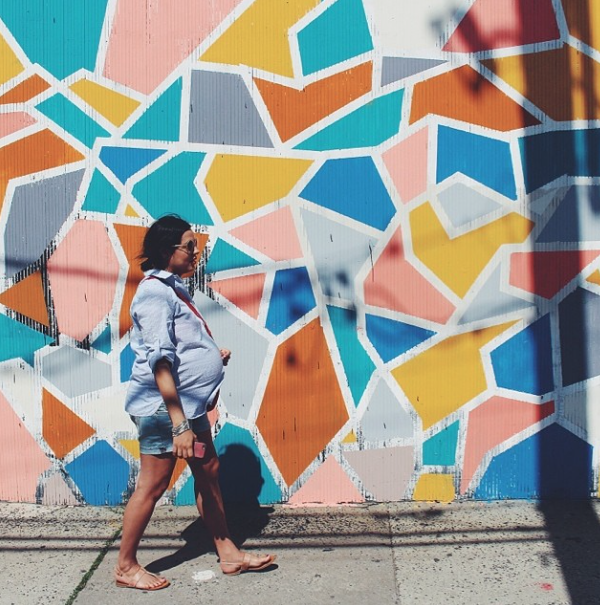 Maternity fashion has a lot of inspiration these days — search for “style my bump,” “dressing the bump” or “style the bump” on instagram, pinterest, etc. and you’ll find everything from darling selfies to seriously stylish professionals. Personally, I never felt great about how I looked when I was preggers. Taking pictures was only something I forced myself to do in my second pregnancy after I remembered that you always feel better about the pictures several months later (isn’t it funny how that works? I swear every time I hate a photo I see it 6 months later and think I look great). Negative thoughts aside, I realized it’s worth having some pregnancy photos just to see that big crazy belly. So I’m thoroughly impressed with these women just for stepping out in front of the camera. Here are a few of my favorites — let me know who else you find out there and where you get your favorite maternity inspiration! I discovered Marie Hindkær here and I had to check her Instagram for more after seeing that first photo (top of page) in that cute striped dress. So darling right? I love the flats for evening. See more here too. She’s great too right? I love how she’s holding little shoes in the image above. Sara Strand is my new obsession. 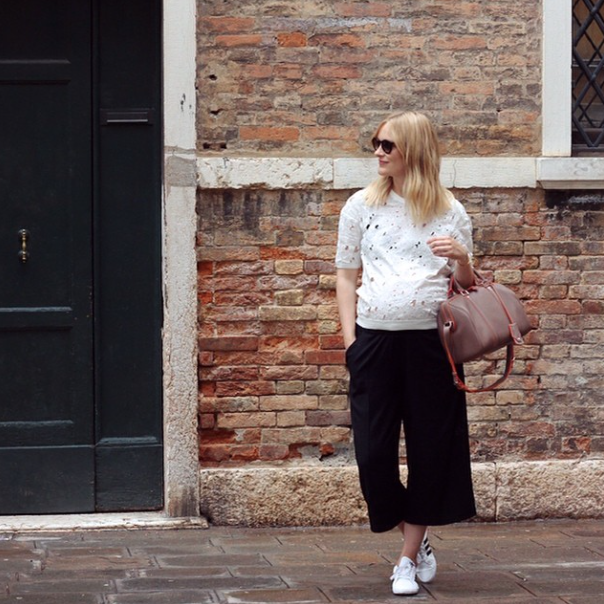 I love her blog (her photos are amazing — the still lifes are great) and her style is so adorable. The trainers with the dress? The moto jacket? Perfect. Comfortable and cute. 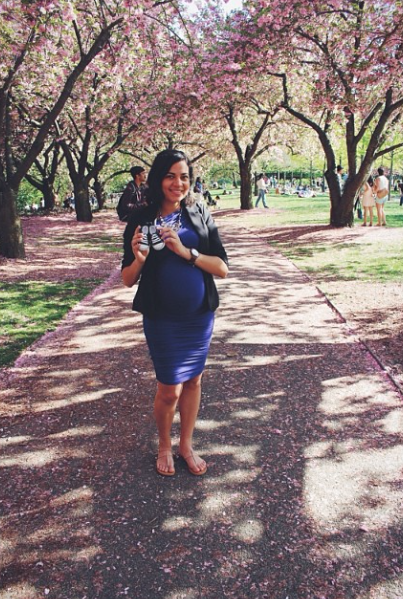 She was featured with some other bump style pics on Isabella Oliver’s website (they make her blue floral dress). 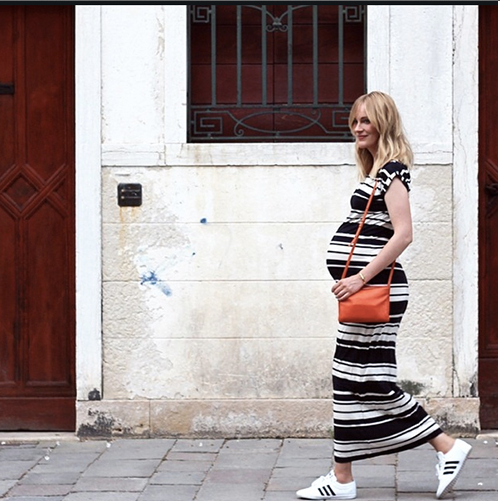 We could all learn a few things from her about how to pose for a maternity photo. She looks relaxed and real — not too pose-y. The overhead bump shot is priceless. 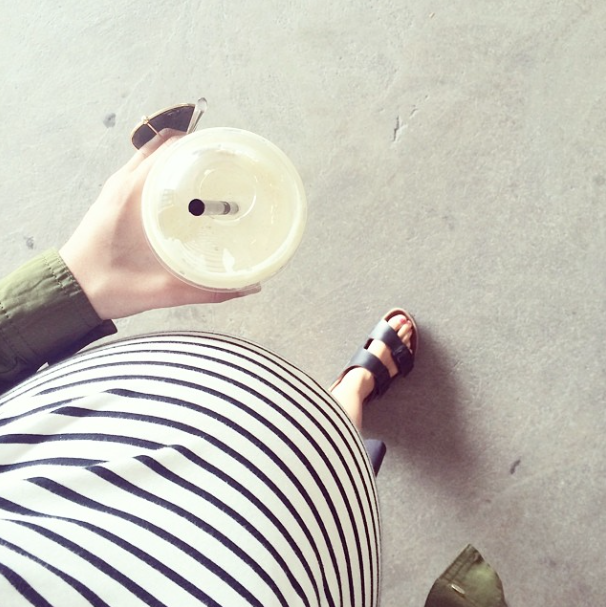 What a fun way to chronicle a growing belly — put on cute shoes and snap away! And finally… I spotted Gaelyn from My Corner View on Pinterest. 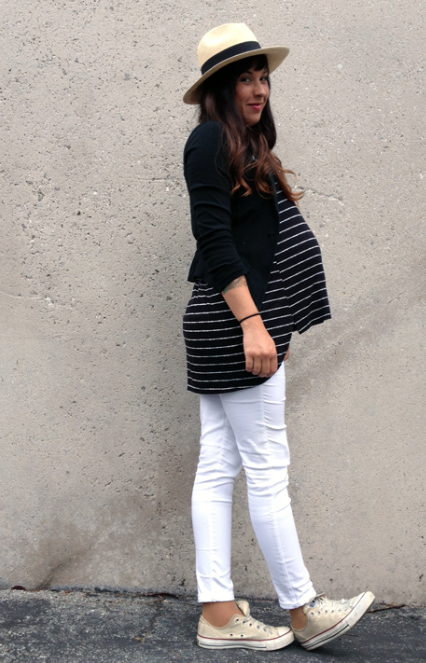 I love how she puts together adorable outfits without a lot of maternity clothes. She looks cute every time and she’s often mixing up the same basics we all have — like those converse sneakers — into great outfits.